An experimenter arrangers to triggers two flashbulbs simultaneously, a blue flash located at the origin of his reference frame and a red flash at x = 30.4 km. A second observer, moving at a speed 0.247c in the direction of increasing x, also views the flashes. 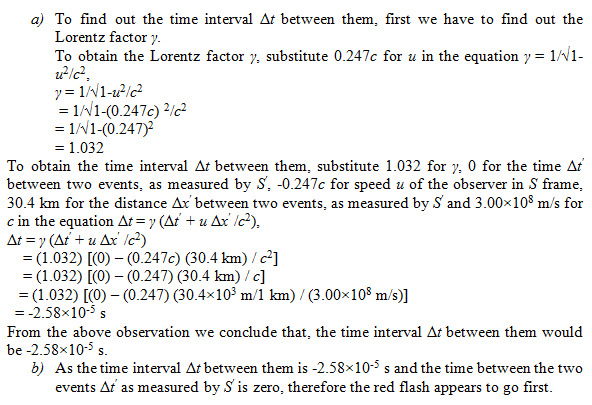 (a) What time interval between them does she find? (b) Which flash does she say occurs first?